Charlie is gone, apart from a pile of feathers. Claire was lying on the ground when DD2 alerted us to the noise just after 5am. Claire wasn’t moving and seemed stiff, so I left her to check on the others (who were safe in the coop), but DD2 noticed she was watching us, and over the next hour or so she began to perk up, though she still wasn’t moving. I couldn’t find any obvious injury (though I found plenty of feathers) so lifted her back into the run, and decided to wait an hour. Claire still wasn’t moving willingly, but when I lifted her, she struggled, and when I put her down she ran into a corner to hide before sitting down again. 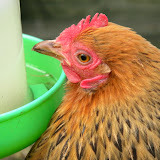 Sadly we then had to go out all day, and when we came back last night she had put herself into the coop, so we are hoping she will make a full recovery. 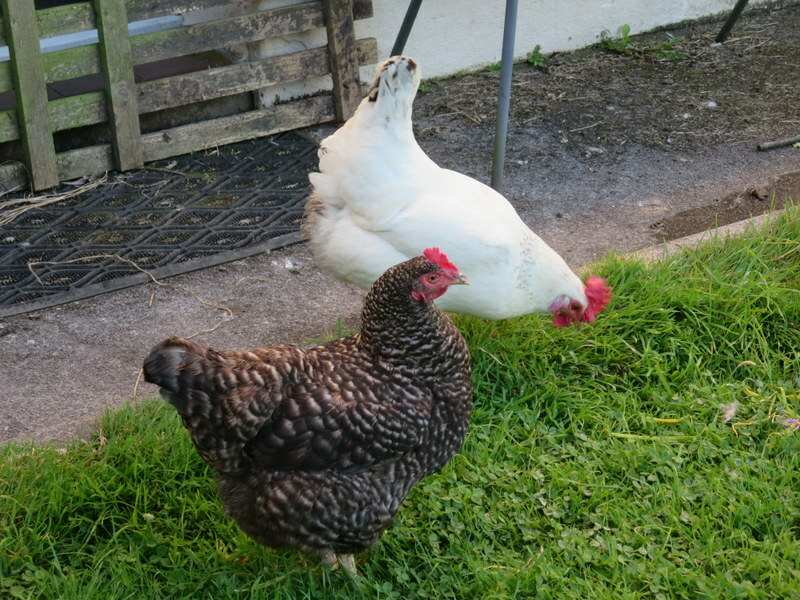 The fox had taken both of them from the coop – feathers everywhere. 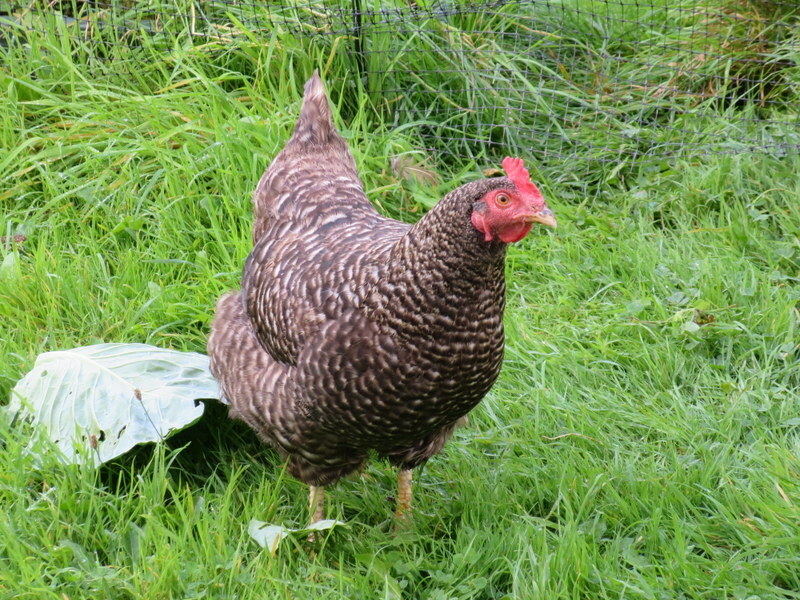 Charlie was my favourite bird; she was inquisitive, she liked company and was always the first to come when I called or simply opened the back door, she was docile and loyal – she and Claire were always together. I will miss her. … both on the one day! 5am this morning, DD2 woke us up with a shout … Fox! We were up out of bed in no time … but of course, by the time we arrived in the garden it had long gone … her shout had probably scared it off and woken half the street! 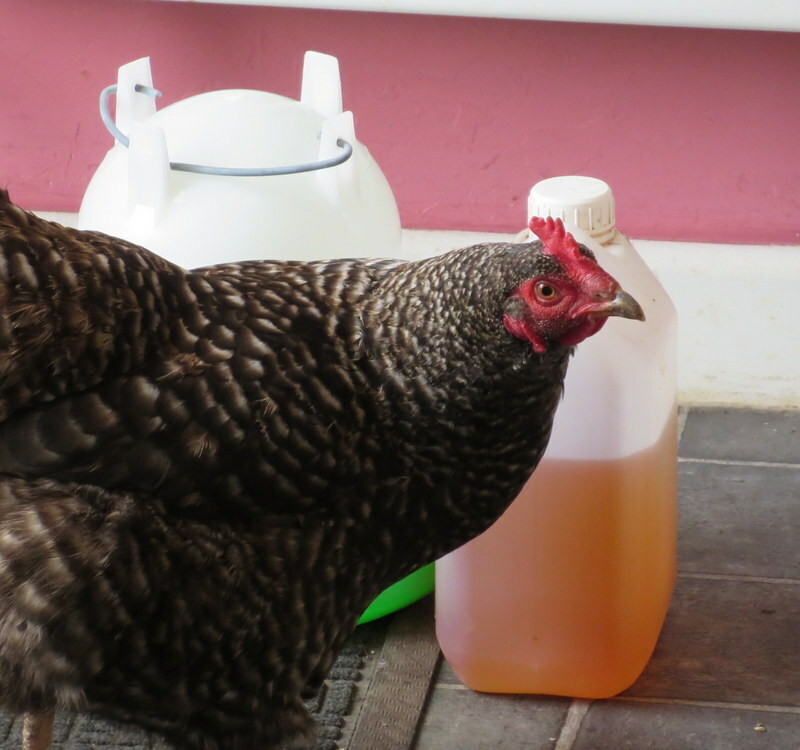 Her bedroom overlooks the garden and she heard the hens’ alarm calls … it had already been light for over an hour by then so they were well into their daily routines. They were still jittery when we got up (again) a couple of hours later. 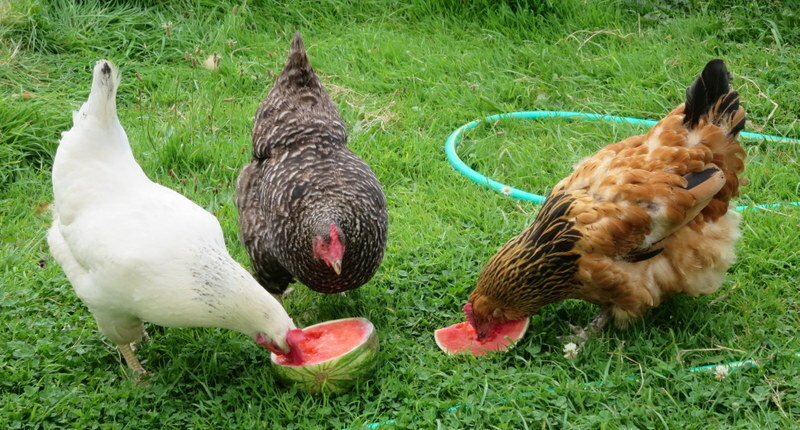 I spent some time in the garden (see below) and they settled … but we’re all rather nervous today. 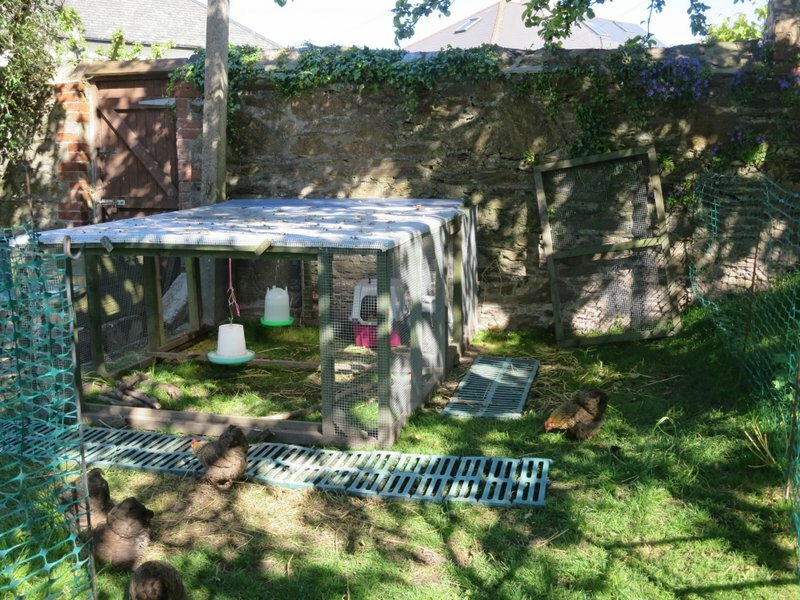 It gives us easier access, and the bantams more grass, and we have the flexibility to move it around the open space from time to time, although up against the back wall it has some shelter on one side. 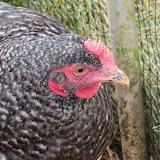 But I was down the garden taking some pictures when two of the Moppets, who were exploring the base of the back wall for bugs, leapt into the air and started squawking, creating a flurry of alarm calls from all five (the hens didn’t appear to pay much attention to their diminutive cousins). And from the corner of my eye I caught a glimpse of grey, scurrying along the wall to the raised area on the right … a rat! We have a couple of rat bait boxes down, along the run of the wall, so I am reassured they are in the right place, but with the Moppet House against the wall, it is very vulnerable to rats getting into the nest boxes and stealing eggs. So either we move the house out from the wall, or we block up the space behind the run to stop the rat run altogether.